Nokia’s long-awaited first MeeGo OS handset, the N9, is finally getting a release date, but you’re going to have to head up to Scandinavia if you want to get your hands on it first for certain. 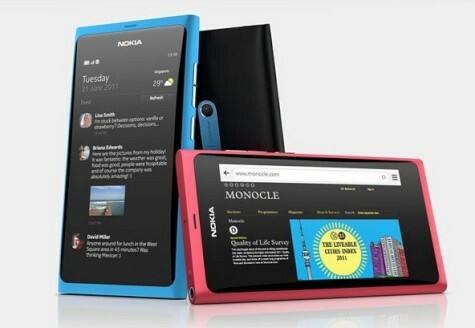 The N9 will launch on September 23rd in Sweden. Though overshadowed now by the imminent launch of Nokia’s WP7 handsets, MeeGo, and by extension the N9, were iniitally thought to be the saviours of Nokia’s flailing smartphone division. And going by the specs alone it doesn’t look too shabby. With a 3.9 inch, 854×480 resolution 2.5D curved display, the phone boasts quite remarkable battery life. 11 hours of talktime and 450 hours of standby also allowed for an impressive 4 and a half hours of video playback is around 4.5 hours and a massive 50 hours worth of music. Under the hood is 1GB of RAM and a 1GHz ARM Cortex-A8 OMAP3630 processor, while connectivity options include NFC, Bluetooth, Wi-Fi (802.11 b/g/n), 3G and HSDPA. Available in black, cyan, or magenta, the handset will come in two storage size variations; 16GB or 64GB. That display is also made of scratch-resistant Corning Gorilla glass; hand for the butter-fingered among us. No word yet on whether that release date is Europe-wide or not yet, but at least you know which nation you should be booking your EasyJet flights for if you’re hankering for some MeeGo action. Though overshadowed now by the certain launch of Nokia’s WP7 handsets, MeeGo, and by extension the N9, were iniitally thought to be the saviours of Nokia’s flailing smartphone division.